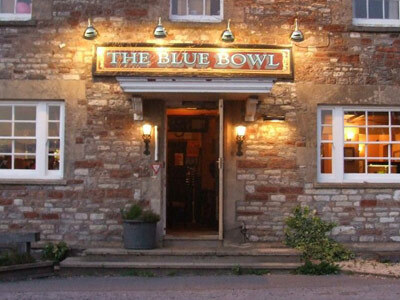 The Blue Bowl Inn, Country Pub, Restaurant & Bed and Breakfast in the heart of the Chew Valley. 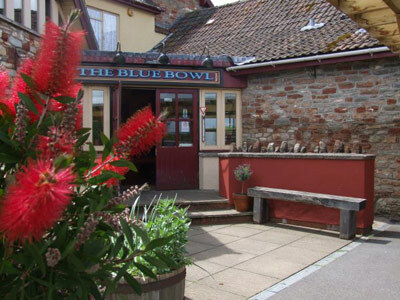 The family run Blue Bowl Inn is everything you could want from a traditional West Country pub. 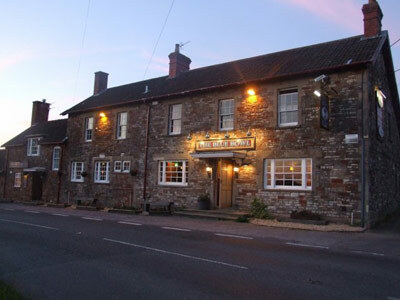 A stone built 18th century building in the heart of the Chew Valley, Somerset, next to the Chew Valley Lake at the foot of the Mendip Hills, both are areas of outstanding natural beauty. 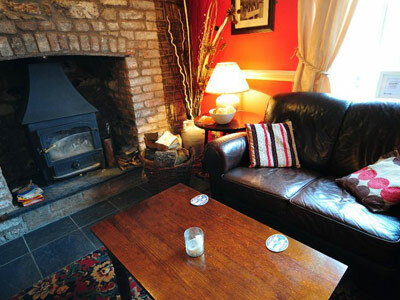 We are also a great place to stay, our Bed and Breakfast Accommodation has 4 en suite bedrooms. 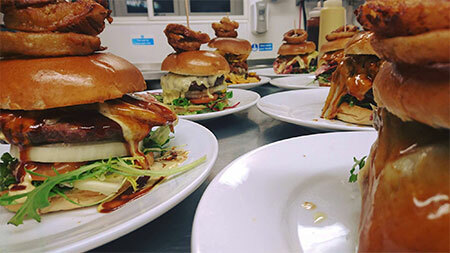 Open 7 days a week the Kitchen offers good home cooked pub food serving a large restaurant, two bar areas and the beer garden, with a traditional country pub roast with all the trimmings every Sunday. Butcombe Bitter is available all year round with changing guest ales, all of our Real Ales have a Cask Marque Award, for the Excellence in the service of cask ale. 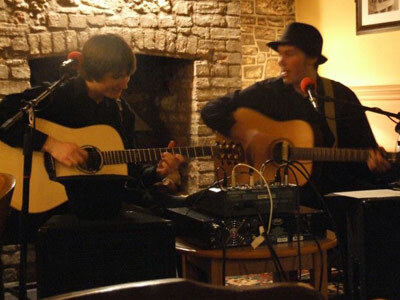 Free internet is available throughout the the main building, Garden and B&B rooms, provided by The Chew Valley Alarm Company & powered by Netgear ProSafe™ wireless networking. We use only fresh produce and local meat to create our food.For example, from the coop to the kitchen our free range Eggs travel 0.3 miles. This is no yoke! A pretty cool fact! From the Cow to the bowl, our Ice Cream travels 6.4 miles. 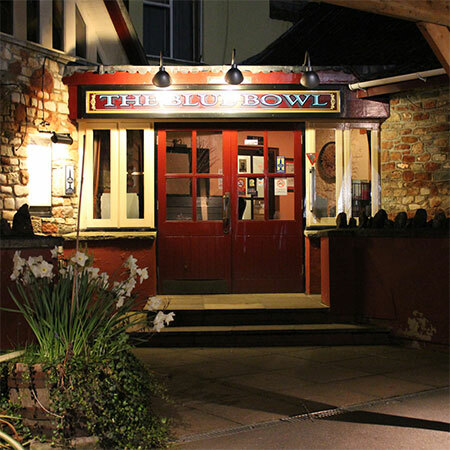 Check out Chew Moos Ice Cream Co. With an extensive menu to suit all tastes, good home cooked pub food is served all day throughout the pub. 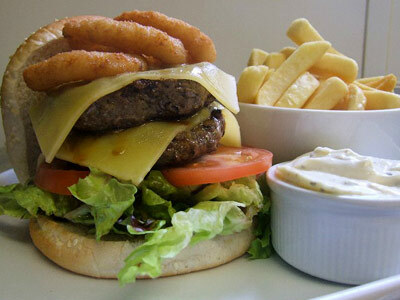 Daily specials are made by our chefs Mark & Sam, again using fresh local ingredients such as Chew Valley Lake Trout. All allergies and dietary requirements can be catered for. 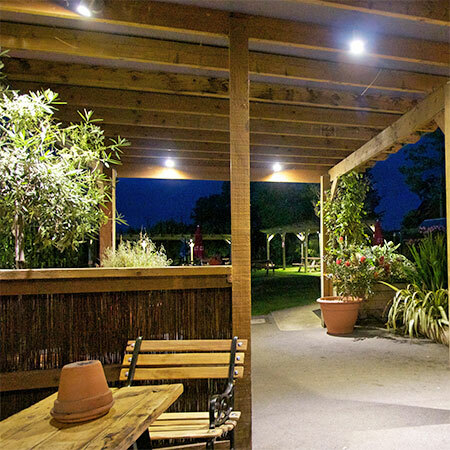 With a large restaurant we are able to cater for large groups such as Birthday Parties, Anniversaries and Fishing Presentations. Booking is a must especially for the weekends, and even more important for a Sunday if you don’t want to miss out on a traditional roast dinner with all the trimmings! 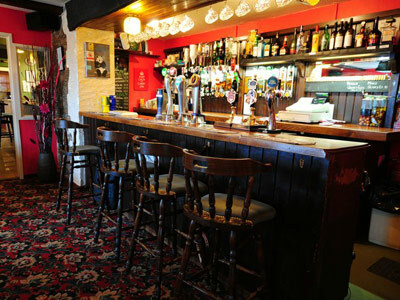 Available from the bar is a range of Lagers, Beers, Ciders, Wines & Soft drinks. Some of it is very local! The Butcombe Bitter on the Bar is from only 7.9 miles away & for you Cider drinkers our Thatchers Gold & Dry only comes 9.9 miles from brewery to tap. We have been awarded a Cask Marque award for the consistent High Quality of the real ales, and operate a guest ale system which changes weekly using small and large Brewers. If you get a bit peckish whilst having a drink and admiring our vast collection of chilli sauces, we also have a wide selection of bar snacks. There is full disabled access to the restaurant & bar directly from the car park via a disabled ramp, and the inside of the building is all on one level. 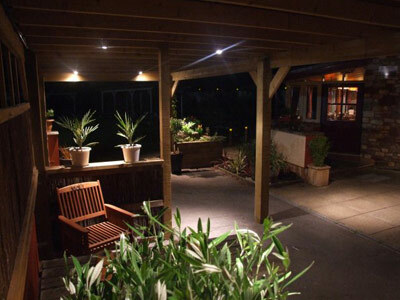 The Bed and Breakfast Accommodation means travellers are perfectly located for the cities of Bristol, Bath and Wells. A short taxi ride from Bristol International Airport so ideal for business users, as well as visitors to the area seeking glorious countryside and attractions such as Cheddar Gorge and Show Caves. 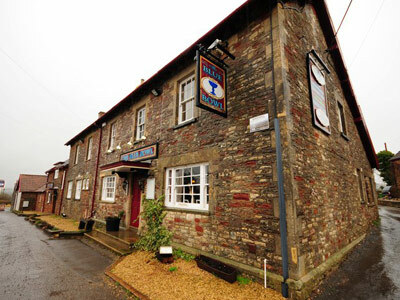 We are situated within a rod’s cast of the world renowned Chew and Blagdon trout & pike fishing lakes, perfect for fishermen and bird watchers.The Mendip Hills offers the perfect chance to embrace the great outdoors through miles of Walking and Mountain Biking. All rooms en suite with tea & coffee making facilities, tv & dvd, & toiletries. Free wifi is available throughout the the main building, Garden and B&B rooms powered by Netgear ProSafe™ wireless networking. We have one room within the main building which overlooks the Mendip hills, with an en-suite traditional bath & shower unit. There are also another 3 rooms which have been converted from the old milking parlour and creamery, all of which are on the ground floor. These 3 rooms have all been sympathetically designed to keep the characteristic original features. So incorporating the oak beams, floors and doors. Each with its own stunning bathroom including a walk in shower. One of the rooms has a level access and a disabled friendly shower room which meets all government standards, but still maintains its own unique style.